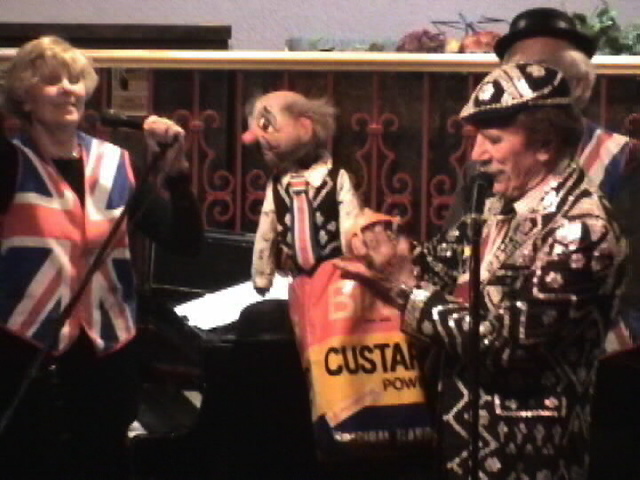 The LONDON BOBBY Cabaret Show is good time experience based on English music and humour. Call for more details. If you have a group who would like a show, please call (250) 479-1828. London Bobby, fifty years behind the times. See Where is he now? LBdate for upcoming London Bobby concerts. See Afternoon Cabaret for information on afternoon high tea shows. See Picex for information about the Picadilly Express. See Hightea for more pictures of London Bobby concerts. When London Bobby is not appearing in Victoria here's a list of places which have a piano and sometimes have live entertainment. Blethering Place. 598-1413. English Tea Room atmosphere, Entertainment most nights, pub-style on Saturday, trad jazz on Sunday. Why is Victoria called 'Little England Beyond Canada?' Because we have double-decker buses, a strong English heritage and English style weather.